Today via a 6-3 vote the Supreme Court invalidated the Professional and Amateur Sports Protection Act (PASPA), which had limited sports betting on college and pro games to only the state of Nevada. Now each state will be allowed to create their own laws as it relates to betting on sports, both college and professional, as they choose. The state of New Jersey, one of the plaintiffs in the case, will have their regulated operation up in a couple weeks. But here in Florida, it's likely going to take much longer before you can bet on your Bucs, Bolts, or Bulls. So start saving your pennies, but don't think you're going to be able to put a few bucks on the NBA Finals. Or probably even next year's Super Bowl. 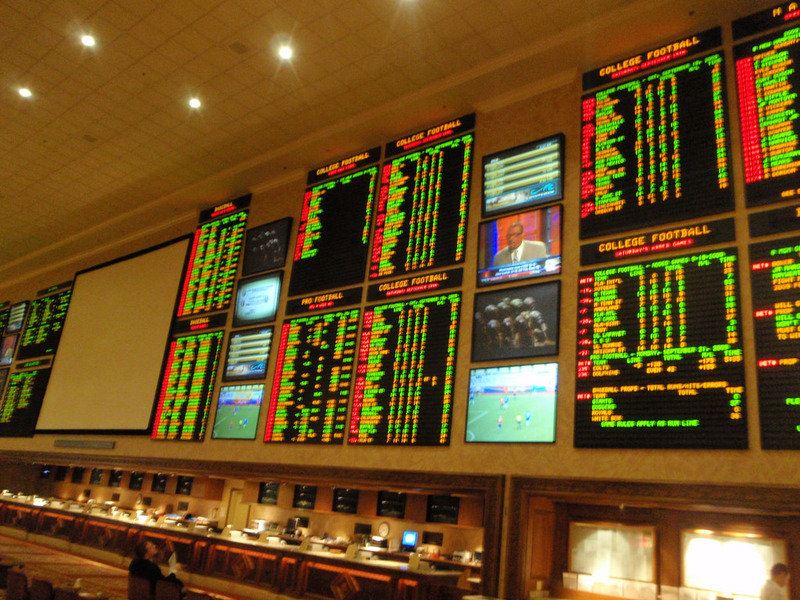 So what happens now with sports betting in Florida? Where can I bet on the Lightning to win the Stanley Cup?? Nobody knows for sure. But the ability to license, regulate, and tax a sports betting operation now lies either in Tallahassee or via the ballot and referendum in Florida. Since 1992, this hasn't even been possible. The Court also held that the federal government has the ability to ban sports betting again if they pass a different law that complies with the standards they set, but that seems highly unlikely in the current political climate. As far as when you'll be able to start sports betting in Florida: don't count on it until at least 2019. The Florida Legislature won't meet again until then without a special session being called, and the ability to collect signatures to place a measure regulating sports betting on the ballot in November ended February 1st. So what would a regulation scheme look like in Florida? This is where it gets interesting, and it's about to become a BIG campaign issue in the state for the November elections. Right now all legalized gambling in Florida is regulated by the Division of Pari-Mutuel Wagering, part of the Department of Business and Professional Regulation. Does Florida only allow sports betting at places that already take wagers i.e. horse tracks, dog tracks, and jai-alai frontons? Or do they begin to issue new licenses for other establishments to jump in the game? There's no reason why sports betting has to be tied to current gambling establishments. Do legislators go for the "construction jobs" politicians love, and require new licensees to build fancy places that could revive certain communities? Do they require that they be of a certain physical size to prevent a newspaper stand taking bets on every street corner, or that food be served to make them more family-friendly? And more importantly: do they allow an online scheme where you can place a bet from your phone anywhere... including the game you're in the bleachers watching. What about corporate wagering companies that already do this in Europe? William Hill stock is up 10% today as of this writing, and as the company that's bought up plenty of sports books in Nevada already, they'll be looking to expand the empire. Caesars stock is up over 8% too. Wall Street thinks this is good for them, but it only works if they can get in the game on a state-by-state level. You can bet they're about to be hiring armies of lobbyists in Tallahassee. So what is Amendment 3, and why should I care? Amendment 3 was already on the ballot on Florida this November, and it would require any expansion of gambling to be via voter initiative, taking away from the Florida Legislature the power the Supreme Court just gave them today. If it passes, it would make the citizen initiative process "the exclusive method of authorizing casino gambling" in Florida. So then you'd need another measure on another ballot to make sports betting fully legal in Florida. But Amendment 3 needs to pass with 60% support in November, as amendments to the Florida Constitution require a super-majority to become law. If it does, it will add another hurdle to for sports betting in Florida. So what is the Florida Gaming Compact with the Seminole Tribe, and how is that affected here? Last month Rick Scott and the Seminole Tribe extended the current regulation of gambling between the Seminole Tribe and the state until the end of the Florida Legislative session. In exchange for $300 million, the Division of Pari-Mutuel Wagering agrees to continue to stop poker rooms from spreading games "player-banked" games like Pai Gow and Caribbean Stud Poker. But sports betting complicates the longer-term deal being negotiated by the parties. It's highly likely the Seminoles are going to want some of the sports betting in Florida pie, and it's also likely Florida is going to want them to pay more for the privilege. Unlike slot machines or baccarat, sports betting is a form of gambling that doesn't generally make a tremendous amount of revenue even in Nevada. But sports bettors tend to spend a lot of ancillary money on things like food, drinks and the like while betting on their favorite teams. Considering the Tribe just spent $2.4 billion upgrading their resorts in Tampa and Hollywood, they're going to want to be able to offer sports betting. Just ask it in the comments, and we'll answer it ASAP!